*Manufacturer's Rebate subject to residency restrictions. Any customer not meeting the residency restrictions will receive a dealer discount in the same amount of the manufacturer's rebate. Lifts, wheels and other accessories are not included in advertised pricing. New vehicle pricing includes all offers and incentives. Tax, Title and Tags not included in vehicle prices shown and must be paid by the purchaser. While great effort is made to ensure the accuracy of the information on this site, errors do occur so please verify information with a customer service rep. This is easily done by calling us at 844-338-9772 or by visiting us at the dealership. 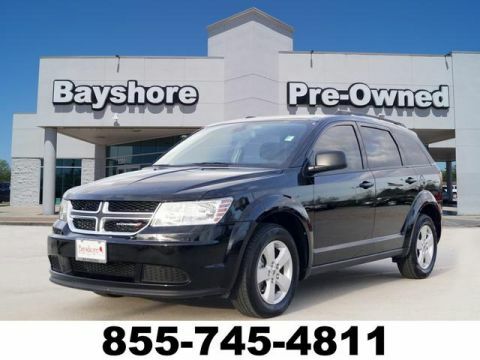 * 2018 ** Dodge * * Journey * * SE * This 2018 Dodge Journey SE is a great option for folks looking for top features like a push button start, braking assist, dual climate control, stability control, traction control, anti-lock brakes, dual airbags, side air bag system, digital display, and airbag deactivation. The exterior is a stunning red. Be sure of your safety with a crash test rating of 4 out of 5 stars. Make your move before it's too late schedule a test drive today! Our team brings over 120 years of combined automotive experience to the table, and with a robust inventory flush-full of new Chrysler, Jeep, RAM, and Dodge models near Baytown, TX quality pre-owned vehicles, and a state-of-the-art service facility, we’re ready to be your one-stop shop for all your automotive needs, big and small! Thanks to FELIX BROWN, I got the car I was looking for and received stellar customer service. Go see him at Bayshore! I purchased my new vehicle from FELIX BROWN at Bayshore. I had an excellent experience, I will defiantly be referring my family. Thanks Felix! Go see my buddy Raul Medina he will work with you to find you the right car. Before going to bayshore i have been looking for a car for about a year, hopping from dealerships and car salesman but never got the assistance i needed .Roger Guerra made my first car shopping experience so easy and wonderful. He helped me out, giving me the best advice through out the whole process. HIGHLY recommend asking for him, best service I received hands down !!! 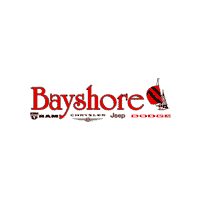 We were very pleased with the service we received from the Bayshore employees. Mr.Brentley Chavez was very courteous while showing us around on the lot. he aiso made sure we were confortable and unrushed.The entire staff that was a part of our car buying experience was nothing less than spectacular. Yah!!!! I am a fan. This is the second vehicle purchased from Bayshore .Mr. Roger Guerra is very kind, patient and accommodating. He is not pushy like other salesmen. I highly recommend him and this Dealership.